When presenting content on your e-commerce website, it’s tempting to focus solely on product benefits. From a sales perspective, it makes common sense. 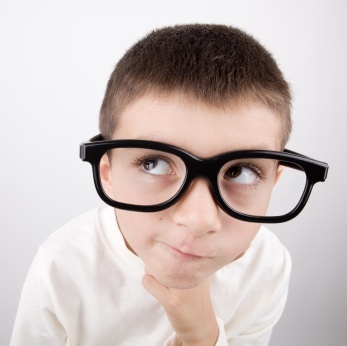 But what your customers really NEED are the nitty-gritty details. Since they may be buying blind (having never seen your product in a store,) customers need full disclosure about what will be shipped to their door. In clothing sizes, what is the cotton composition? How much will the garment shrink and is it color safe in a washing machine? Do your products require special batteries or accessories? How many small pieces come in the building set? 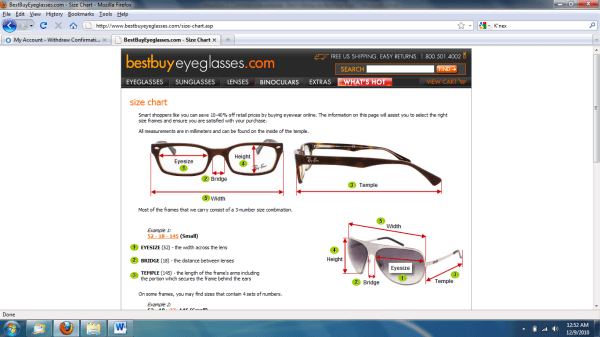 And how do I determine size when ordering eyeglasses? A dissatisfied customer will not be a return customer. Getting more sales today will not ensure sales in your future. If you’re interested in longevity and sales growth, customer satisfaction has to be job #1. Your customers don’t want to be bothered with unnecessary returns and additional fees. If you tell them exactly what to expect, they won’t be disappointed. If you offer customized options, tell your customer about them. You already have a captive audience- with their wallet open. Don’t assume they’re unwilling to spend more- especially if they’re already getting a discount. If I had the option of customizing my frames based on face size, I surely would have paid the difference. In a setting such as optical, it wouldn’t hurt to utilize video. Just a brief demo of how to measure your face/pupillary distance would have alleviated this situation. This measurement is used to accurately center the lenses in the frame. A video would’ve explained how to do this using a ruler. Negative publicity vs. the Silent Customer. I don’t know what’s worse: bad PR spreading across the internet or the ‘Silent Customer.’ Companies can do damage control if they are alerted to negative PR. They can utilize social media to help the cause or fix the problem. The Silent Customer is one who walks away dissatisfied and simply never shops with you again. They’re not out to break your business. But if you have enough Silent Customers, in time, you will be a silent business. I guess I am the Silent Customer. Because I didn’t bother to mention this particular eyewear distributor. I just won’t be making any further purchases. And I’ve got plenty more to buy in my lifetime. Now I’m $161 lighter and I’ve got nothing to show for it. Anybody need a pair of glasses?